Qposter.com is entirely dedicated for those who are willing to take part in the IELTS examination and expecting a high band score. If you are going to take free IELTS preparation for the IELTS exam of your own, you are advised to learn about the exam format and different sections of the IELTS. IELTS stands for International English Language Testing System, is designed to assess the English language proficiency of non-native English speakers who need to study, to get Scholarships in Europe, America, Australia, or Work where English is the language of communication. The IELTS test was introduced in the year 1989 and the IELTS test is available in two formats; Academic Module and General Training Module. Note: All candidates must take a test for each of the four skills: listening, reading, writing and speaking. 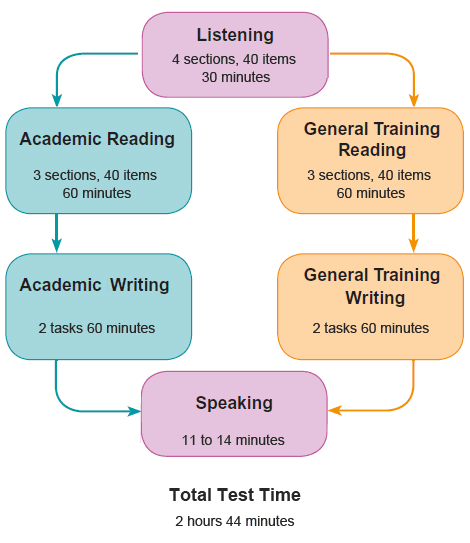 All candidates take the same Listening and Speaking modules but may choose between the Academic or General Training versions of the Reading and Writing sections of the test. You should seek advice from a teacher or a student adviser if you are in any doubt about whether to sit for the Academic modules or the General Training modules.